International brand with French origin, Citroën is promoting the French creation and continuing its creative collaboration with Jean-Charles de Castelbajac, by revealing C3 JCC+ limited edition exclusively at the 2018 Motor Show. The designer has a talent for transcending barriers between different worlds and has now turned his attention to the brand's best-seller, which has sold 400,000 units. 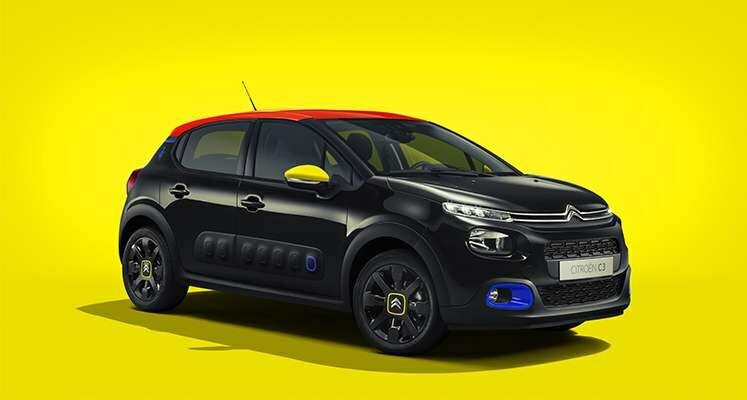 Jean-Charles de Castelbajac appeals to creative minds and again, through Citroën C3 JCC+, expresses his two reasons for living – art and fashion. With a focus on refinement, this limited edition, monogrammed with the designer's signature, JCC+, offers a very high-end version of the C3. Sporting a black dress set off in the designer’s iconic colours – Red for passion, Blue for hope, Yellow for sunshine – it will appeal to lovers of art, design and fashion who are looking for a versatile and exclusive model!